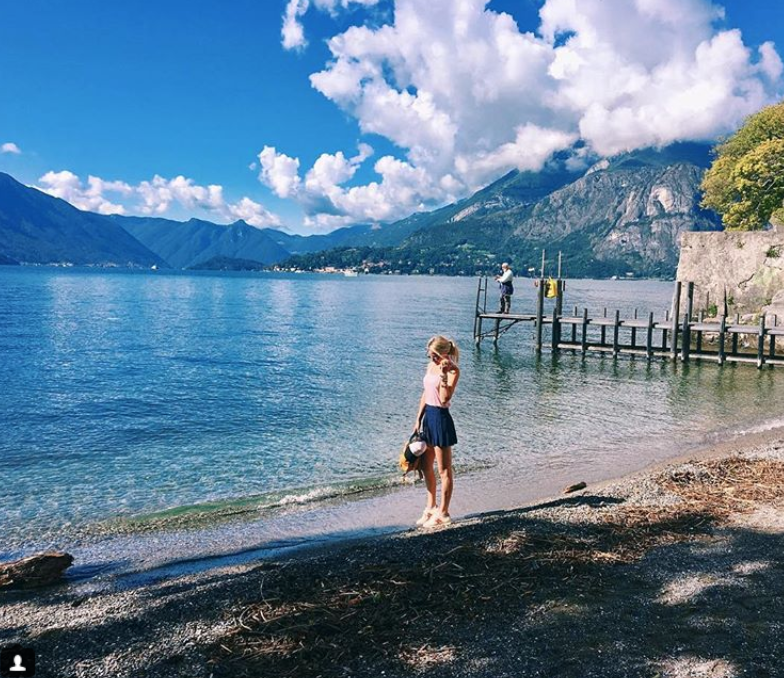 Lake Como, are you even real or was it all just a dream? I would take mountains and lakes over beaches any day. 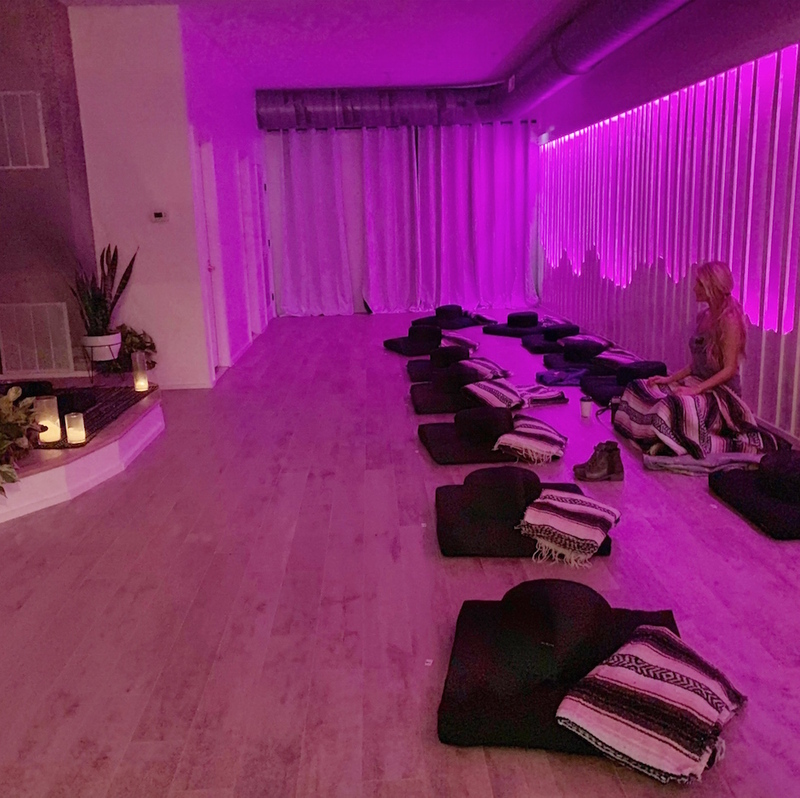 This place was heaven. 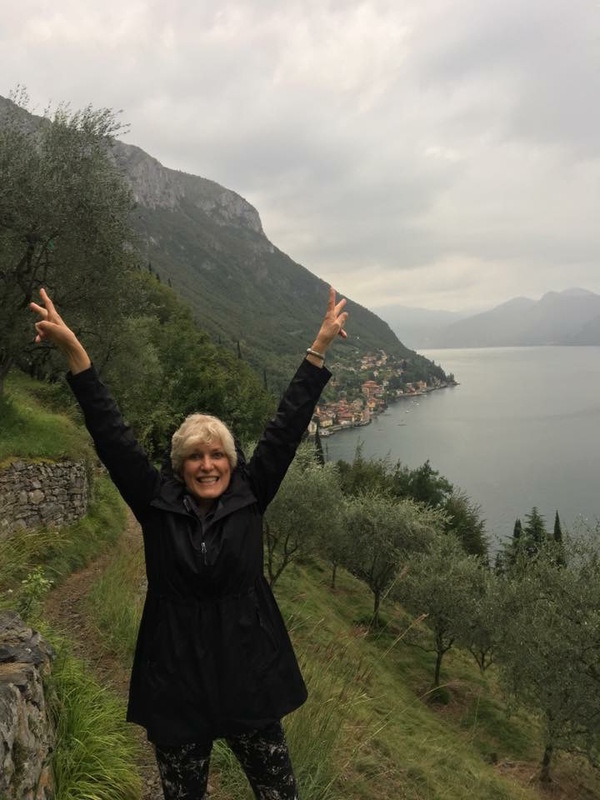 My mom and I arrived here via the most beautiful train ride from Milan. The first part of the trip isn’t much to look at, but once you reach the lake region it’s breathtaking. 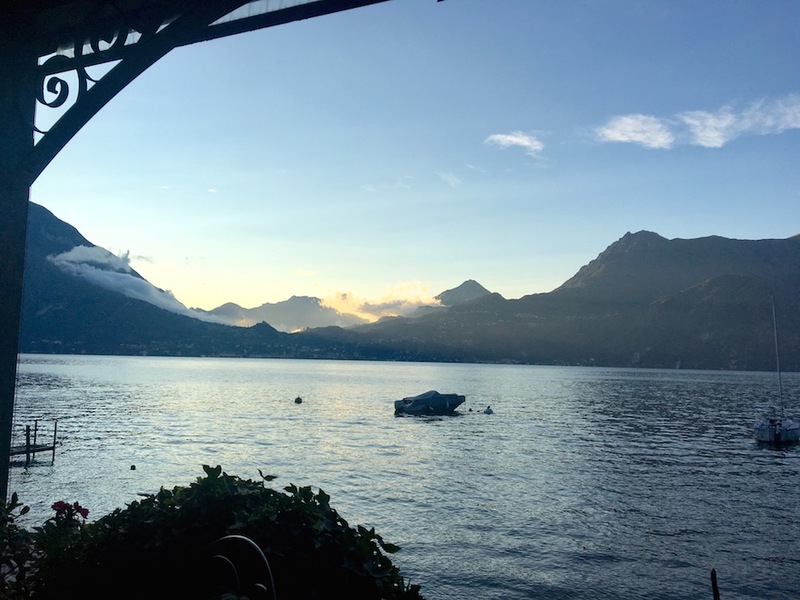 When those mountains and lake pop into sight, it’s nonstop squeals of joy. 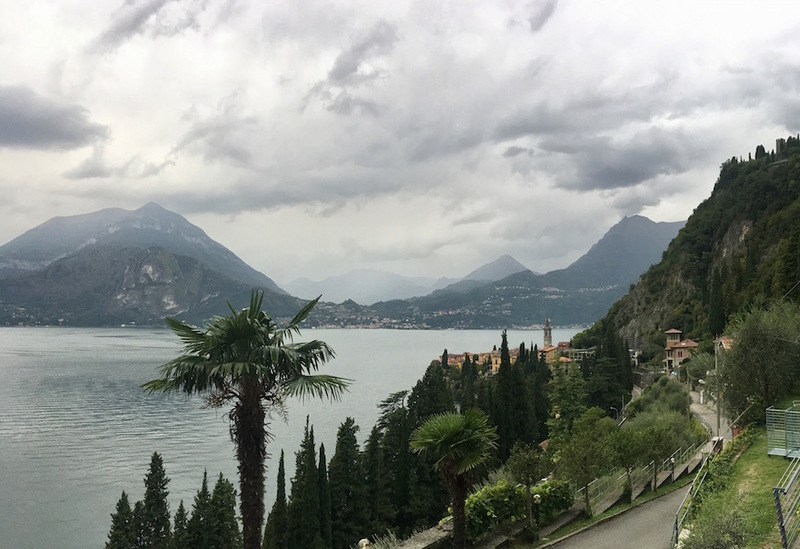 This is one of the few places that is equally pretty in the rain…thank goodness for that, we hit Europe at an unusually rainy time and lived in our stupid raincoats. Every now and then the sun came out and I assumed photoshoot position. 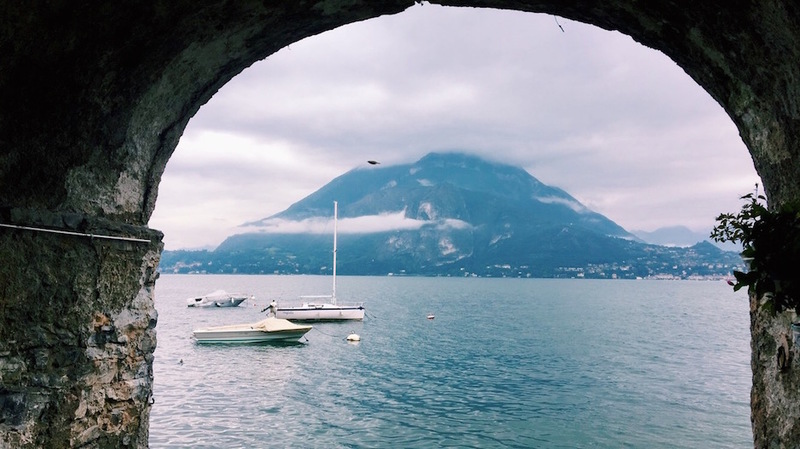 Here, the rain added a mystical quality, and the low-hanging clouds over the lake were so dreamy. 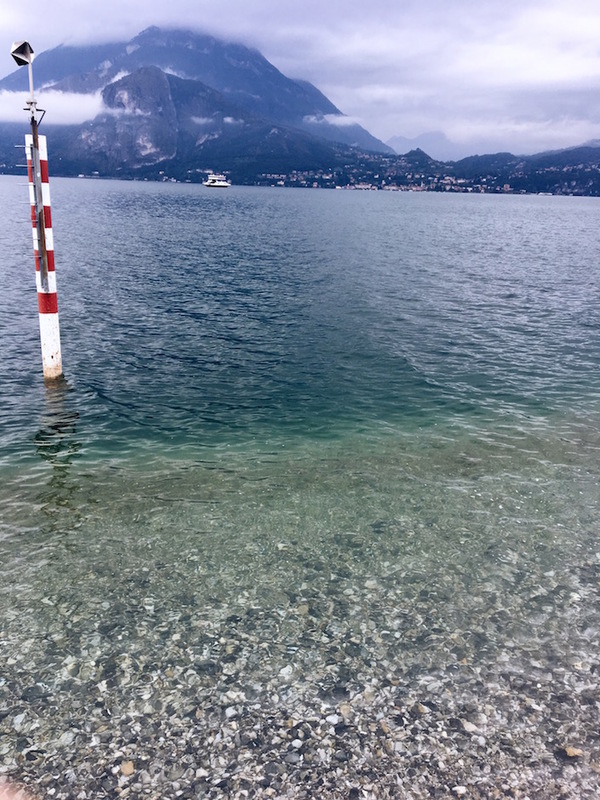 We stayed in the beautiful and quiet town of Varenna and took the ferry to neighboring towns. 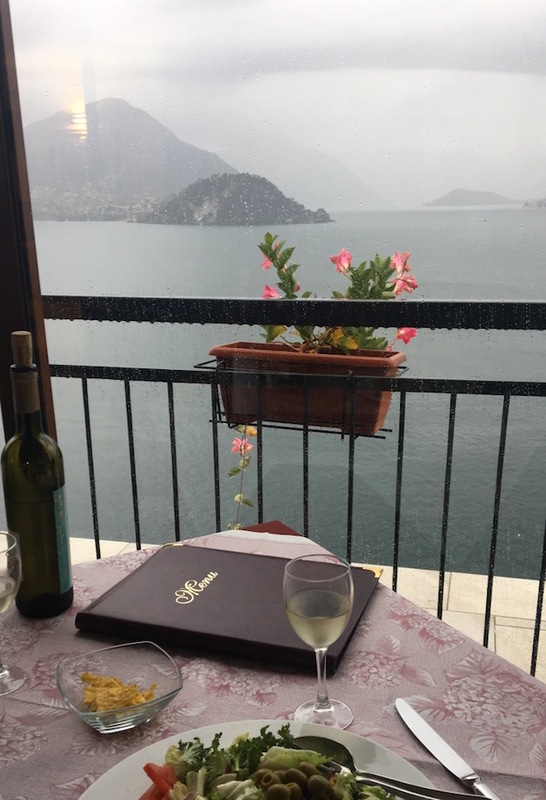 I absolutely recommended staying in Varenna. It’s smaller than others, which gives it a more genuine and less commercial feel. 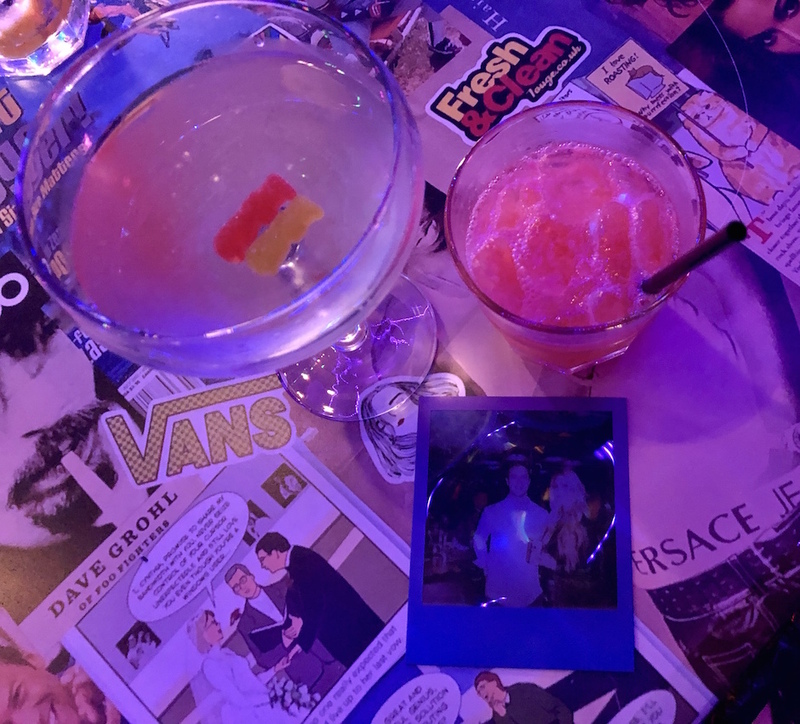 And it’s so romantic…cheers, mom (I tend to hit all of the romantic spots with her…Venice, Paris, Rome..). 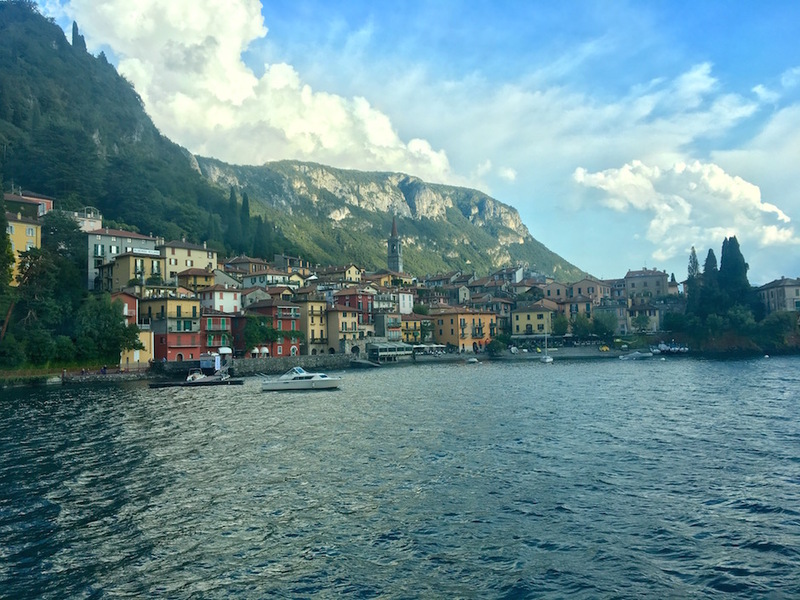 The four towns you must visit are Varenna (stay here), Bellagio, Tremezzo (which I guess is also called Tremezzina) and Lenno. Take a self guided ferry tour. If you were following my adventures on instagram, you may have felt my disappointment when I didn’t find George Clooney. Clooons, where you at?? Ugh. Oh, and apparently there’s an actual “George Tour” ha, see it here. 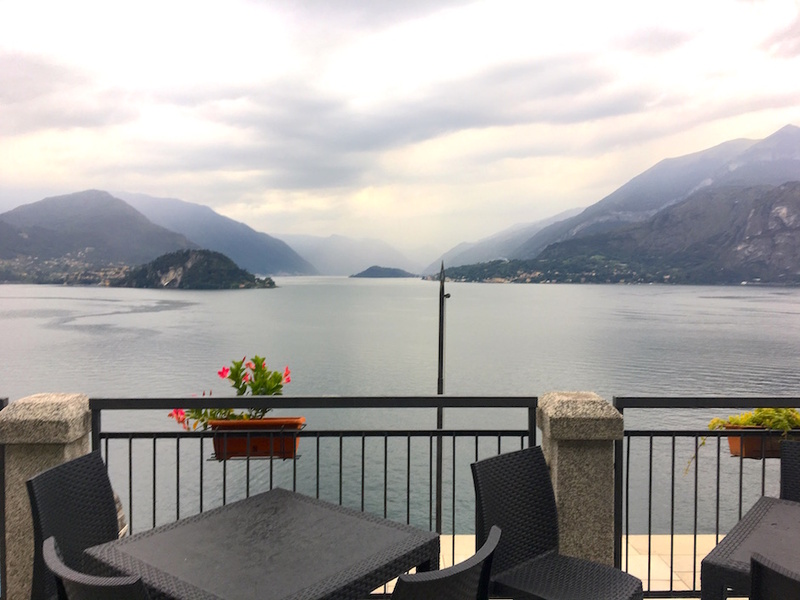 —–Stay: We stayed at the Hotel Albergo del Sole, because everything else was booked, but it was great! 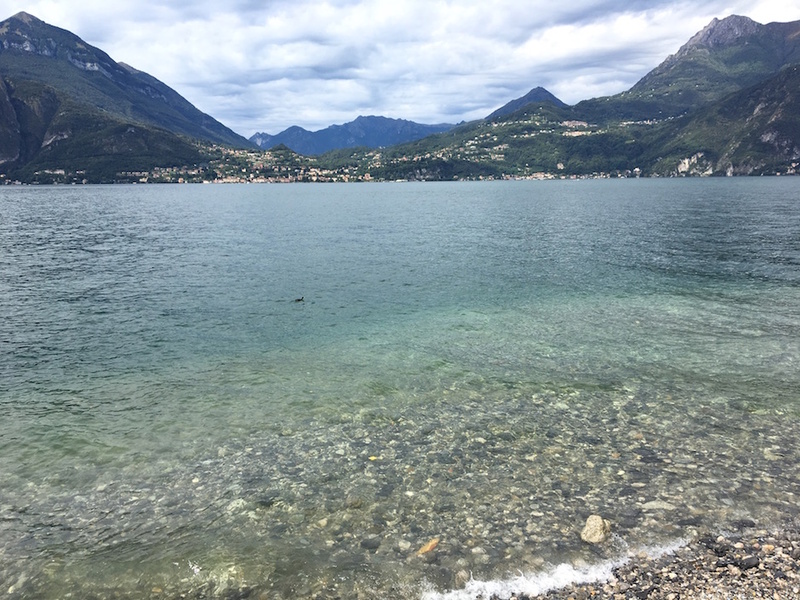 It’s in a great location, right on the town square (Piazza San Giorgio) by an old church, with an easy walk down to the lake. The rooms are cute (wooden beams on the celling and large doors that open out to the balcony), and the staff was so nice! 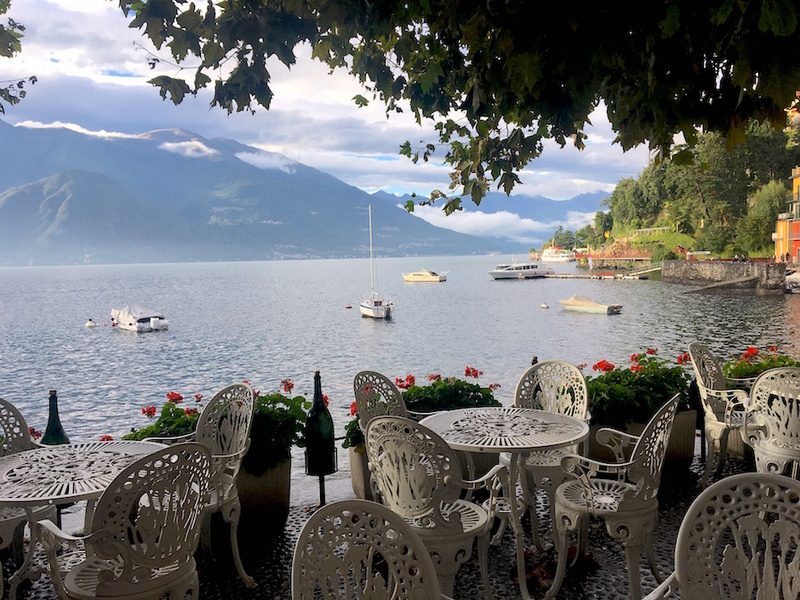 The hotel that is highly recommended is the Hotel du Lac, BUT it’s too removed from everything, and I think it’s better to dine there rather than stay. 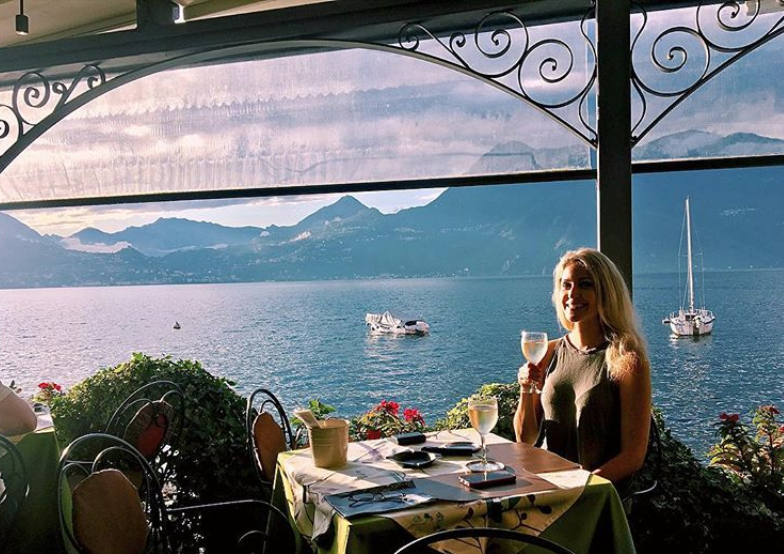 The views are unreal from the hotel restaurant, and it’s on the way to the castle walk. 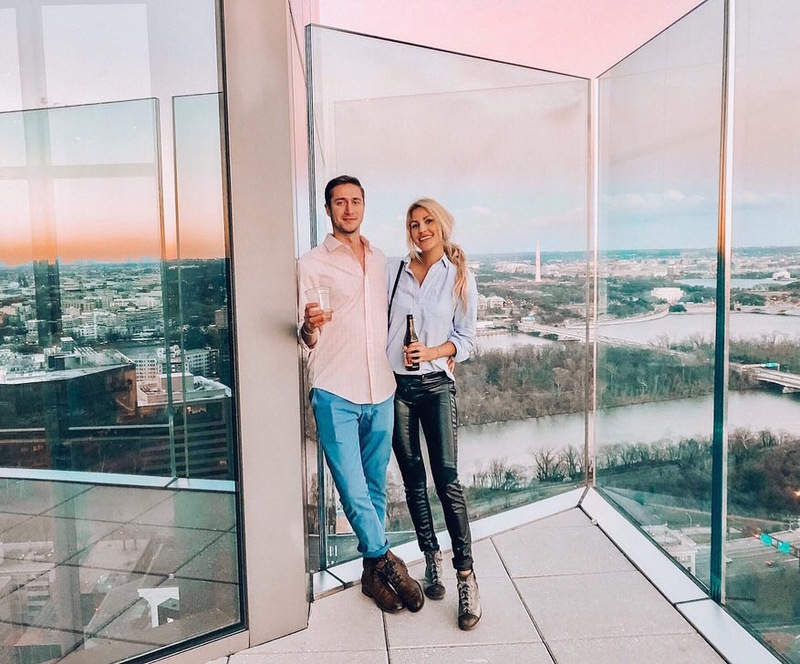 We even made friends with a nice couple who let us use their key to take the outside elevator up to the very top, where the views become even more unreal. Just hang out in the restaurant till you make a friend and then have them take you up. 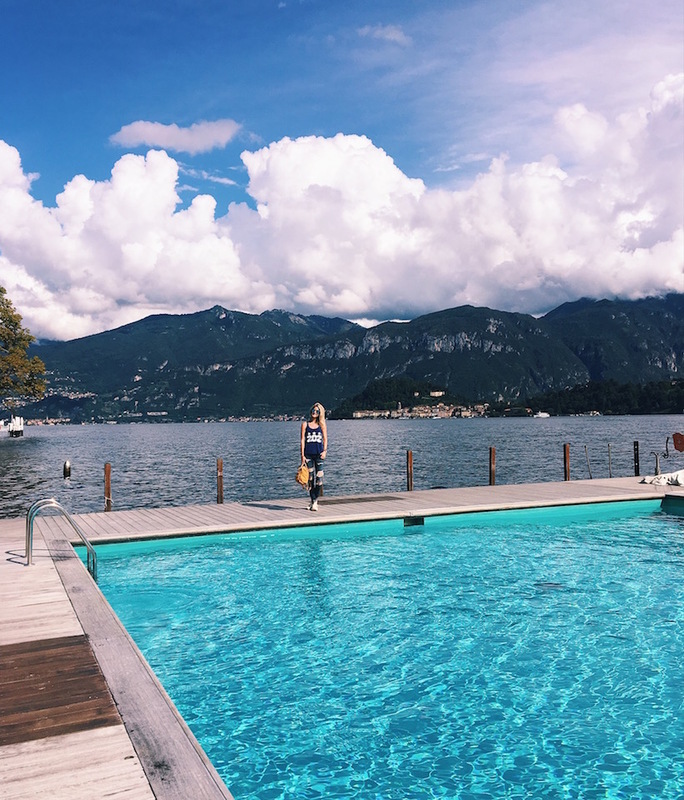 There are a few gorgeous hotels right along the lake, like Hotel Royal Victoria. This one has a pool and incredible views. 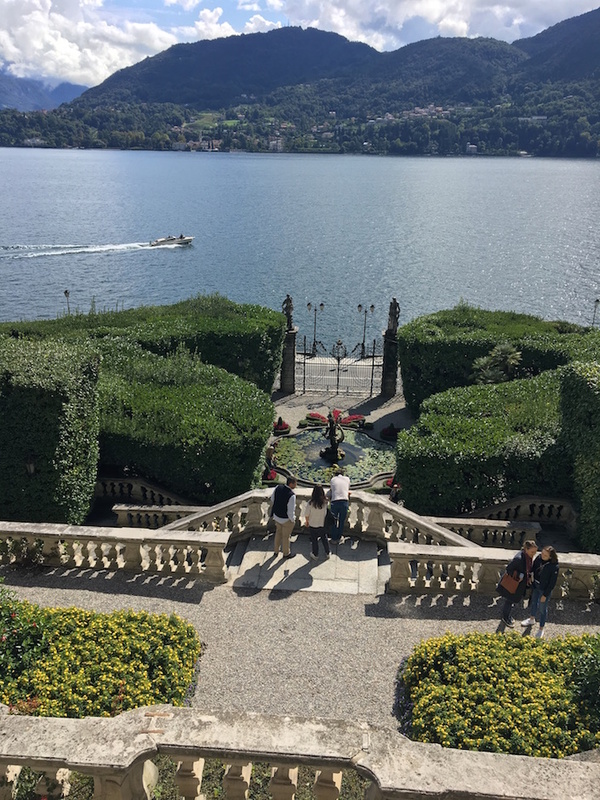 We wandered around here and enjoyed their grounds and views even though the rooms were all booked. 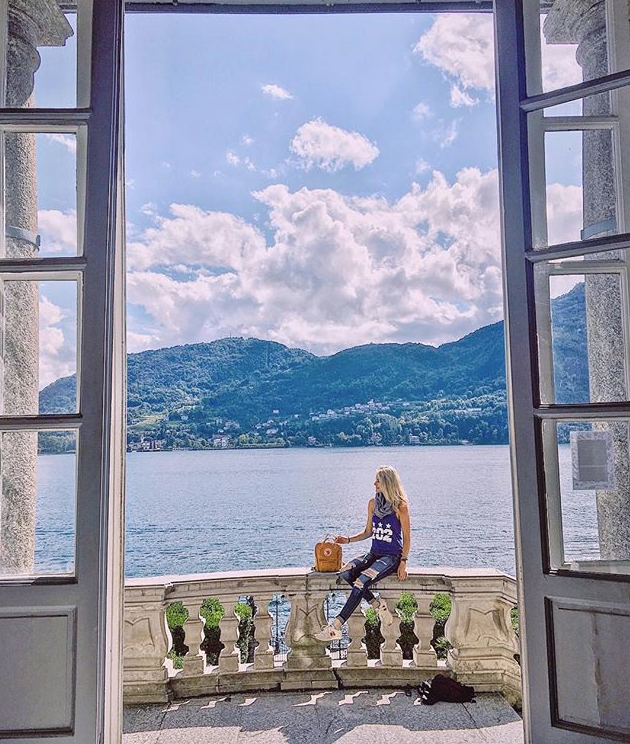 —–See: hike up to the Vezio Castle; enjoy the lakeside walk past hotels and restaurants, to the harborfront where the ferry boats dock; grab a drink along the water; explore the lush gardens of Villa Cipressi and Villa Monastero; swim at the little beach behind the Hotel Royal Victoria; dine at the Hotel du Lac for amazing views; and take a self guided ferry tour to the neighboring towns. 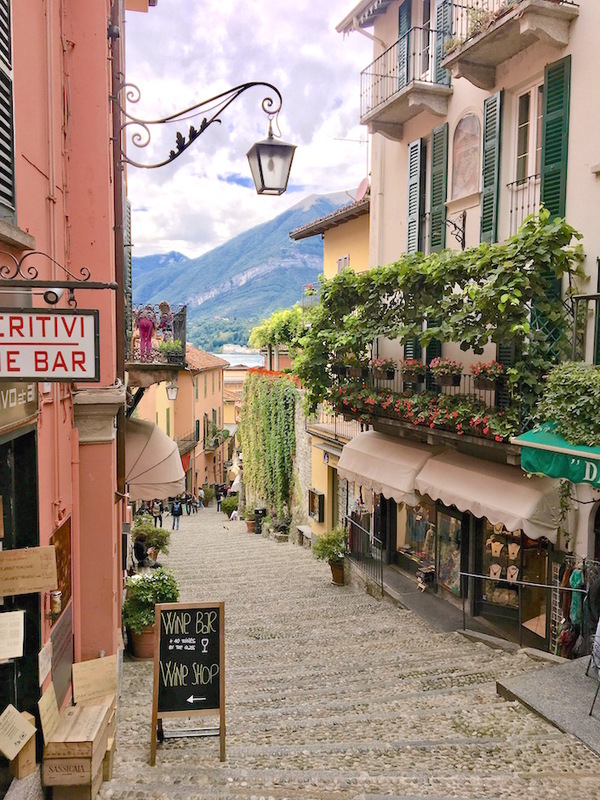 Bellagio: Known as “the Pearl of Lake Como”, this is much larger than Varenna and has beautiful streets to wander through, plenty of shops and restaurants, and a very pretty landscaped path by the lake with no shortage of benches for picnics. 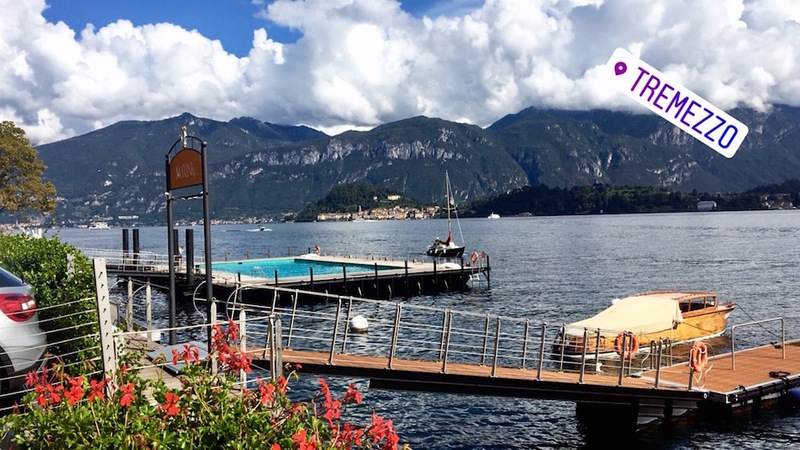 Tremezzo: Tour the gorgeous Villa Carlotta and hang out on the floating pool dock on the lake (you may have to buy a $20 sandwich first). 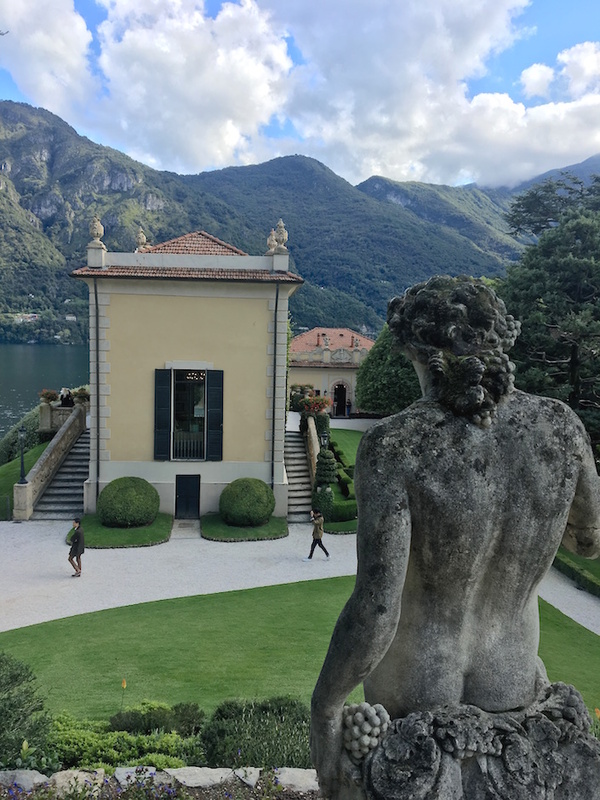 Lenno: this town has the must-see Villa del Balbianello, where Star Wars and James Bond scenes were filmed. But that’s not whyy you need to see it. It has such indescribable beauty…simply no words. 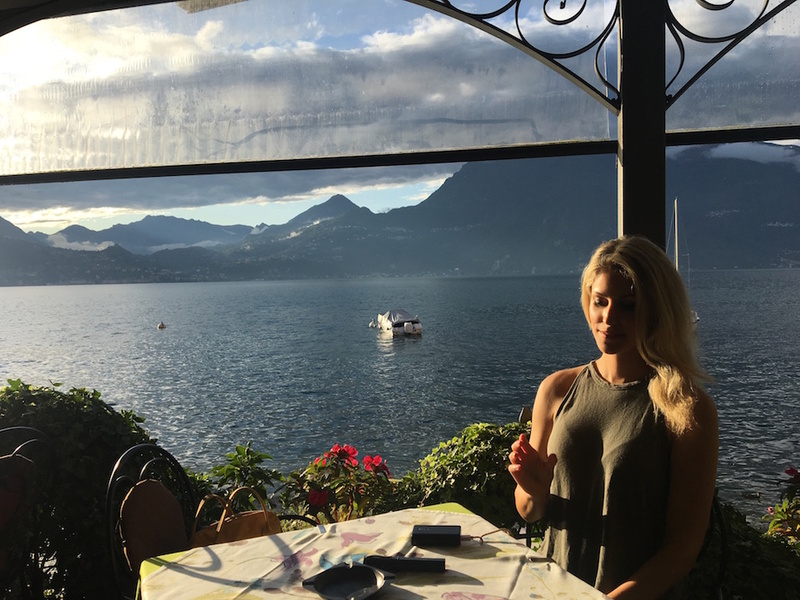 This Lake Como visit was part of a 3 country (4 if you count popping into Monaco for the day) trip to Germany, Italy and France. 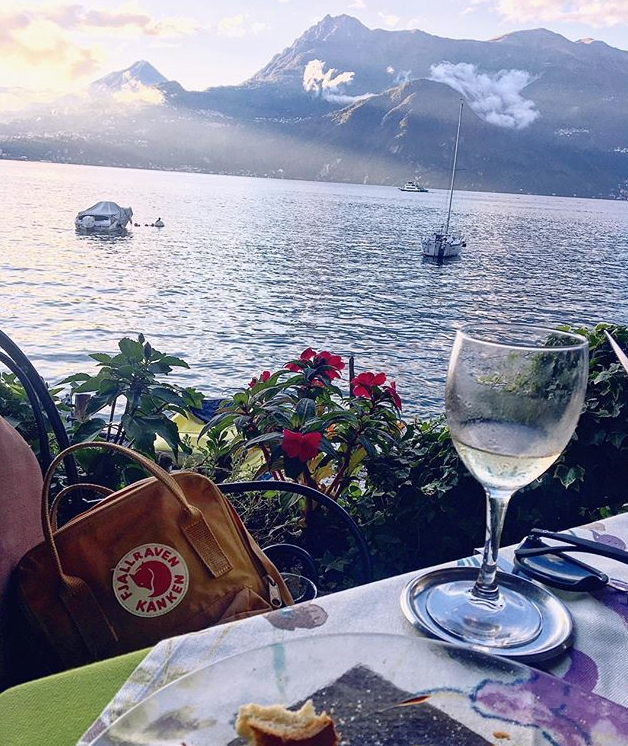 Over the next few months I will put up my blog posts on German wine country and the French Riviera. 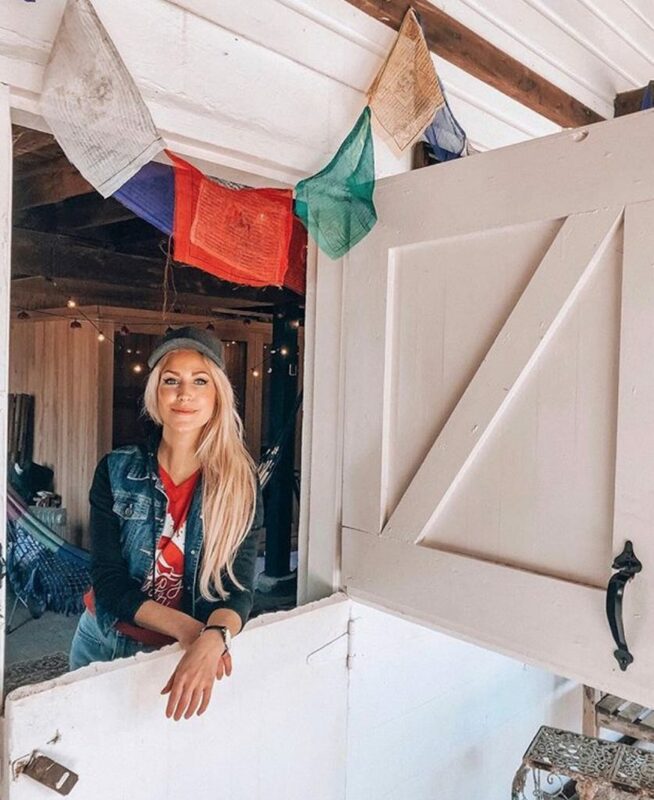 See this travel recap post for more. 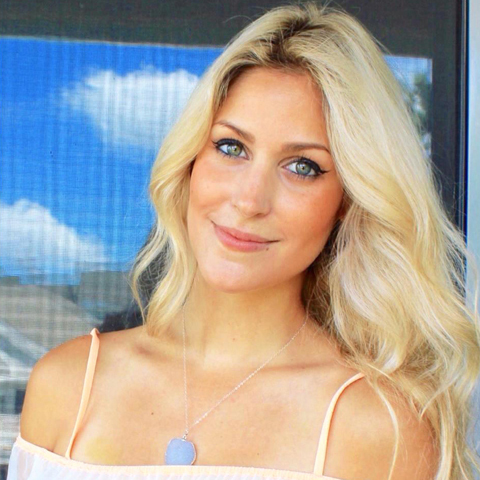 Also see my article in Viva Tysons Magazine, based on this trip, with packing tips for traveling light. I say this in all of my travel posts, but Rick Steves is the way to go. My mom has been expertly planning trips with his books for about 15 years, and he’s always spot on. 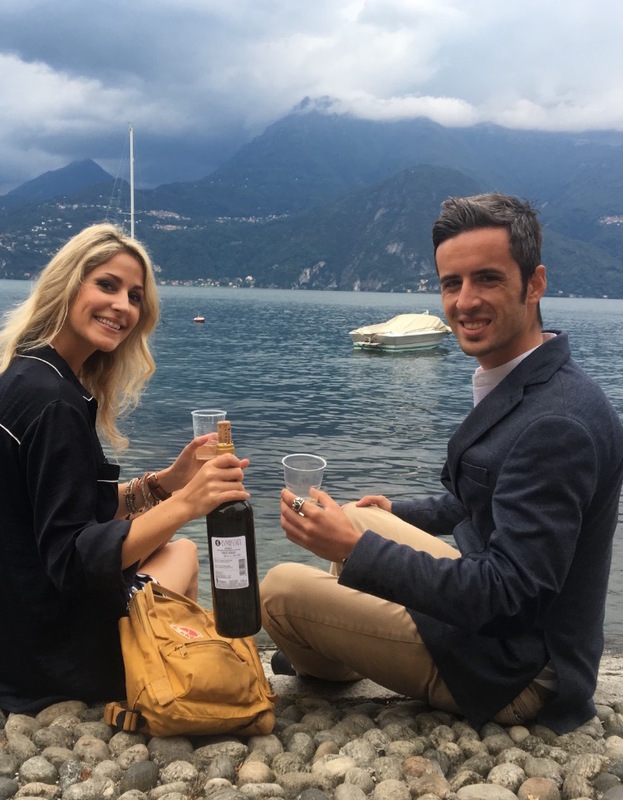 I was fortunate enough to make a trip to Italy last summer as well, where I made a friend who popped over to Lake Como on this trip to hang out (your turn to make a trip to DC, Matteo!). Read this post on my Bracciano portion of the previous Italy trip, here. 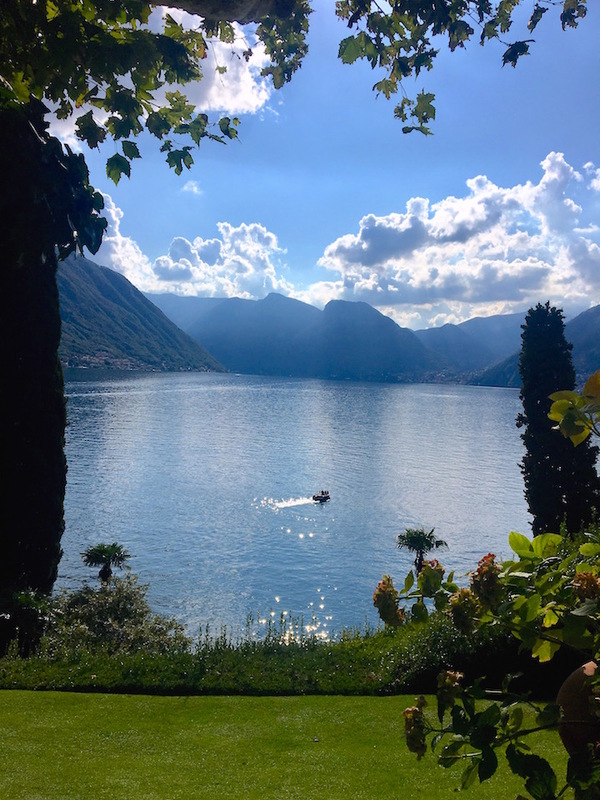 Here are a few of my favorite pics from Lake Como..